Welcome to the Nobel Laureates' very own museum. 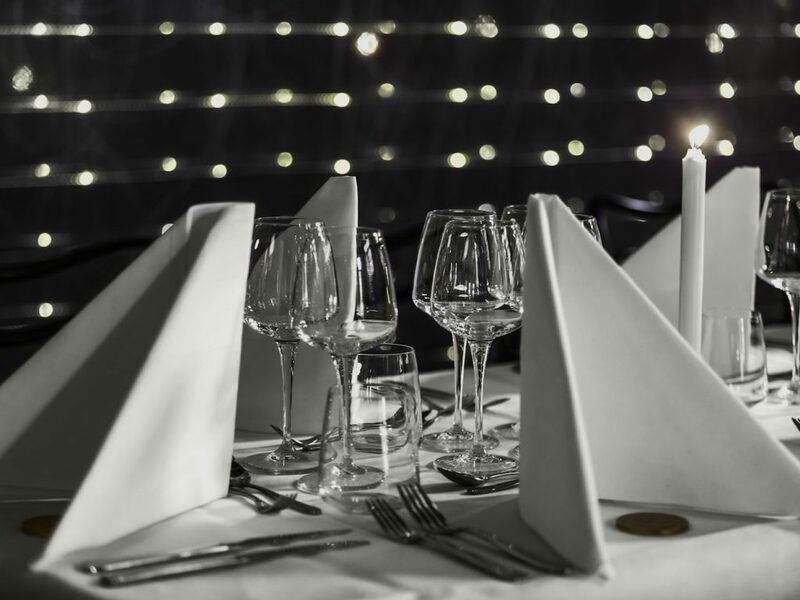 Combine inspiring activities with food from Bistro Nobel for an unforgettable event. Are you looking for a venue with that extra something for your meeting, event, or company? Then Nobel Prize Museum is the place for you. 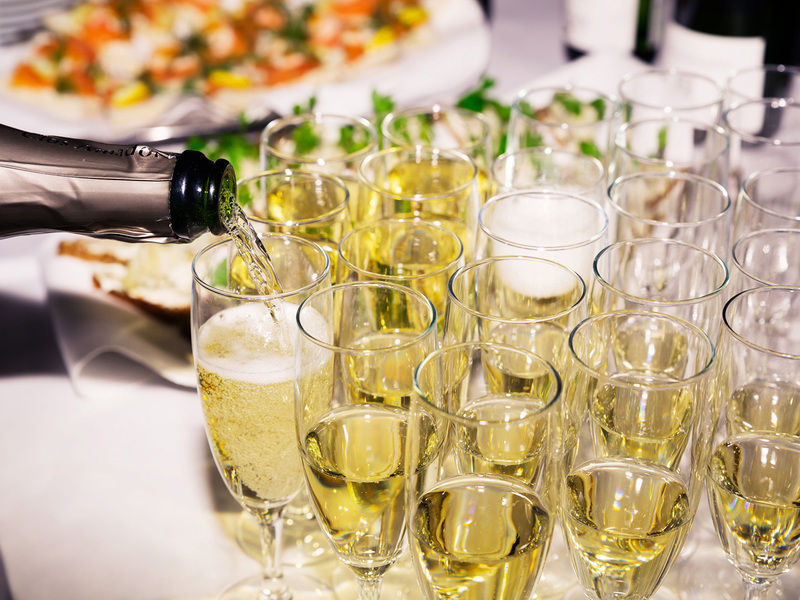 We can handle everything from smaller team meetings to 500 guest receptions. 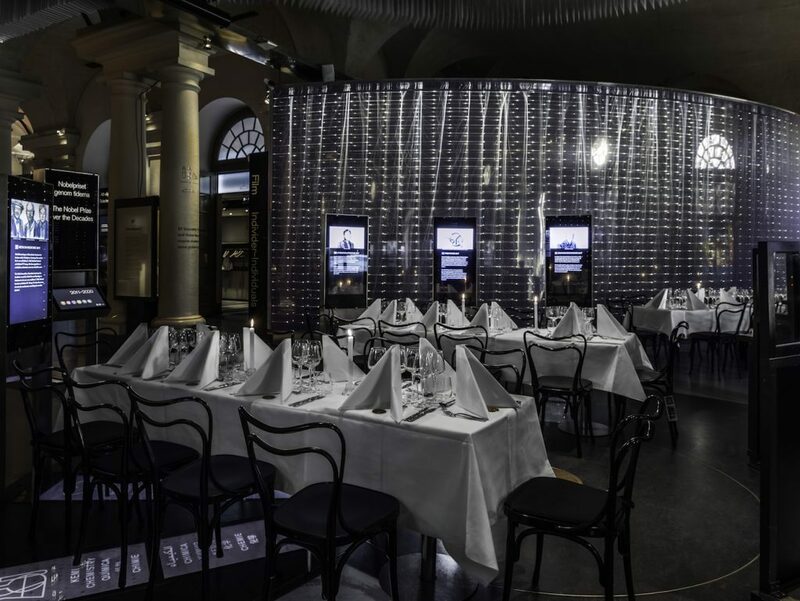 Nobel Prize Museum is located in the center of Stockholm’s Old Town in the old Stock Exchange Building – a meeting point where old meets new. Food and beverage is ordered by Bistro Nobel, our own restaurant. Menu suggestions are listed further down below. 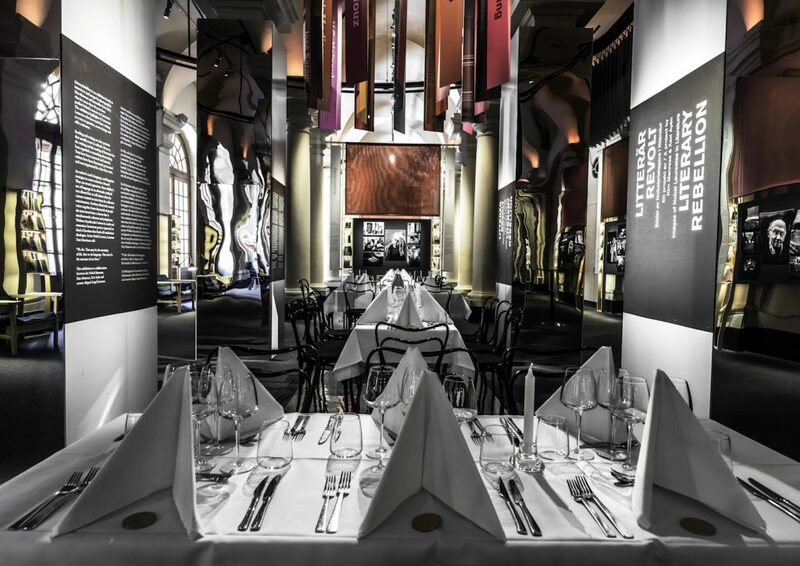 Enhance the experience of being at Nobel Prize Museum with a tour, a workshop or a lecture connected to the Nobel Prizes and Nobel Laureates. Furthest down below on the page there is a detailed booking information. It answers most of the questions our clients have. Bistro Nobel can offer everything from breakfast to dinner, from finger food to a Nobel Banquet menu. 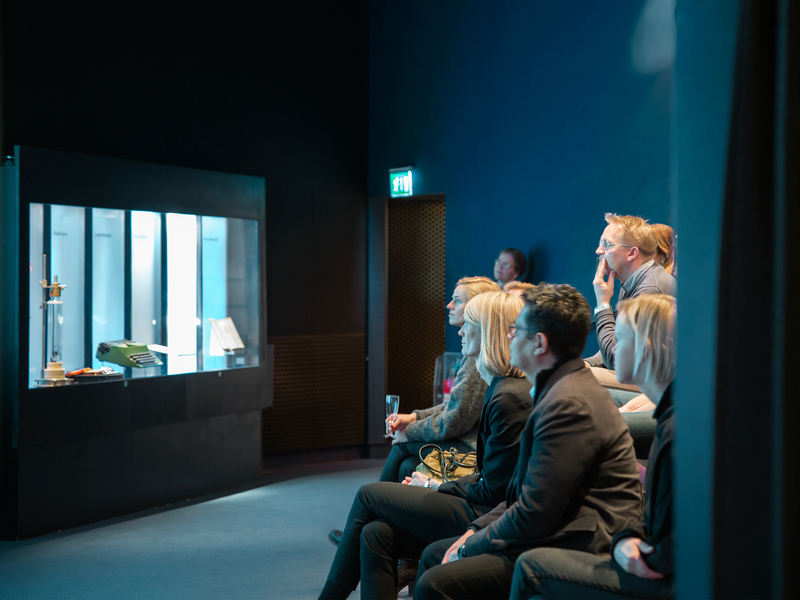 Enhance your event and experience with a guided tour of the museum, a workshop or an inspiring lecture. Please contact us to go through your requests – we will help you to a tailor made event with activities best fitted for your needs. Inspire your team or your clients to reach goals, to cooperate and take action together in the spirit of the Nobel Prize. New Nobel Prizes are coming up every year – how is the situation for your team or your clients? What do you want to achieve? Get new energy in a unique context of brilliant science, creativity, innovation, humanitarian achievements and borderless literary creation. An environment of astonishing discoveries and Nobel Prize Laureates eternally enshrined in history. The Nobel Prize is awarded those who “have conferred the greatest benefit to mankind”. In this guided tour we talk about the achievements that have truly changed the world. The permanent exhibition at the museum is titled “Culture of Creativity”. In this guided tour we look closer at the Nobel Laureates from the perspective of creativity. How does one become a Nobel Laureate, and what happens once the announcement is made? This tour is a journey through the Nobel year – from nomination to award ceremony. The immortal human rights icon is subject for our current exhibition at the museum, until September 2019. Through pictures, films, objects and texts different parts of King’s life are shown. This tour tries to answers questions like: from where does one person get such great courage? And what and who inspired him to his non-violent struggle? Click here to read our detailed booking information or download the PDF below.